It’s almost here! 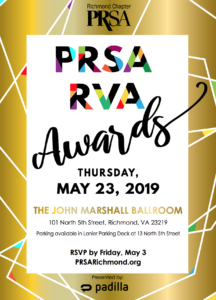 Open up your calendar and mark it now: May 23rd at The John Marshall Ballrooms in downtown Richmond for the Virginia Public Relations Awards, presented by Padilla. Thomas Jefferson Award and Rising Star to be announced! Look for a personal invitation in your Inbox and mailbox, because you’re special. Whether your work is being recognized, you want to support colleagues, or realize you should be there to celebrate the value of our industry – this event won’t be complete without you there. Thanks to the driving force of dynamic Awards Chair Taya Jarman, APR, and a different venue, the Awards have an exciting energy that just keeps on building steam. Brand new categories like Government Communications and Campaign on a Shoestring Budget attracted a flood of submissions. Innovative sponsorships have successfully drawn new businesses who want to support communications and PR professionals. Student Award categories are motivating students to ‘go for it,’ so more students and supporters will join us at this event than ever before. 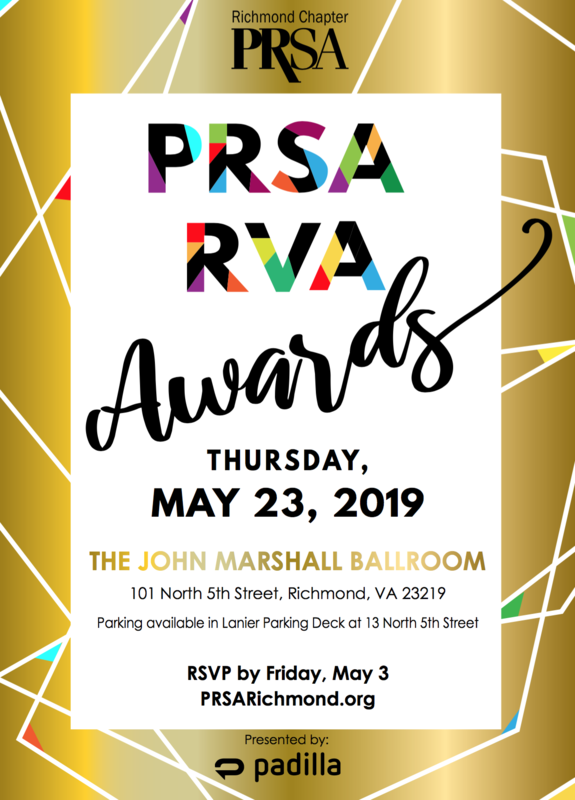 Support all of these positive changes and more….say YES to your Virginia PR Awards invitation!